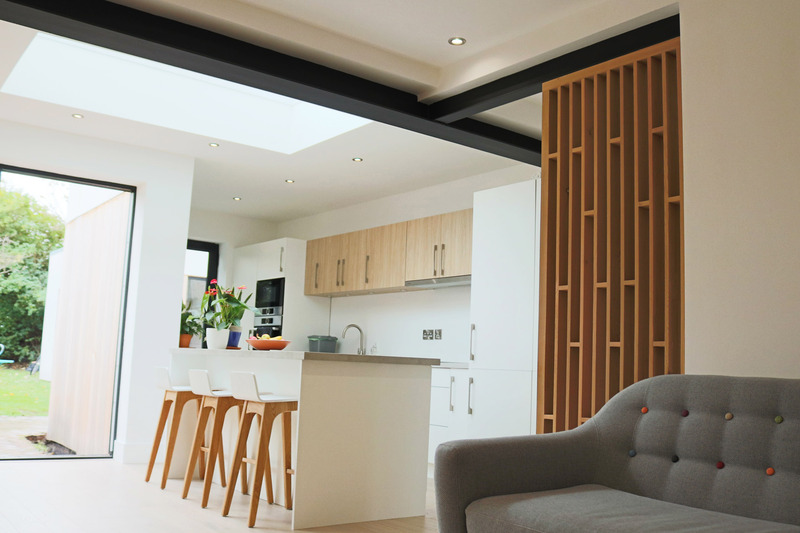 The brief for this project was to design a new single storey rear extension to the existing semi-detached house in Altrincham. 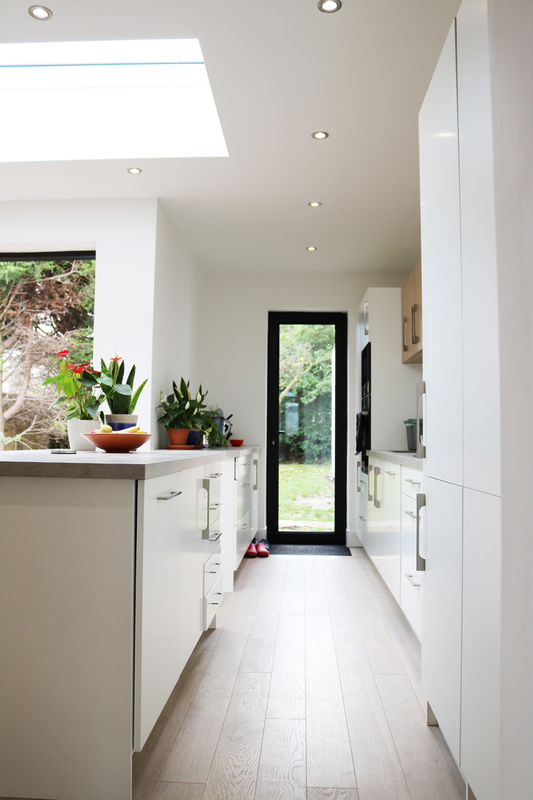 This was to create an open-plan kitchen, dining and living space which better connected to the garden. 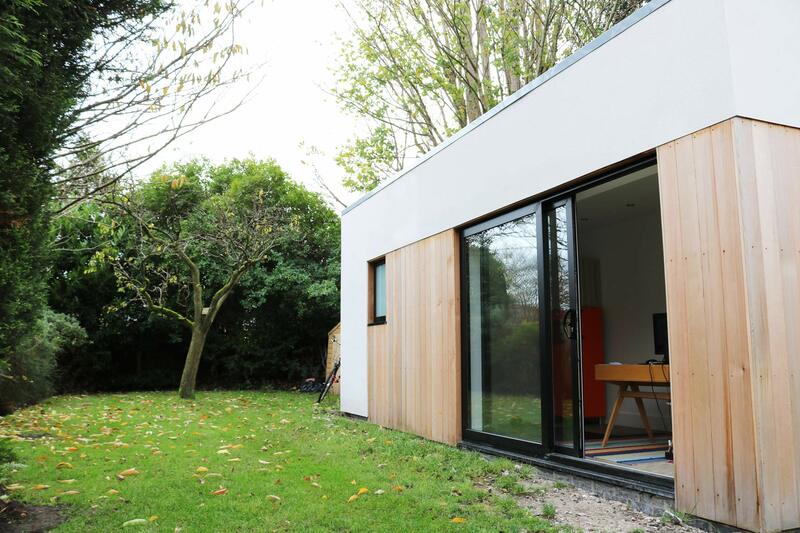 In addition a new detached garden office with en-suite was to be included adjacent the new extension as a replacement to the existing garage. 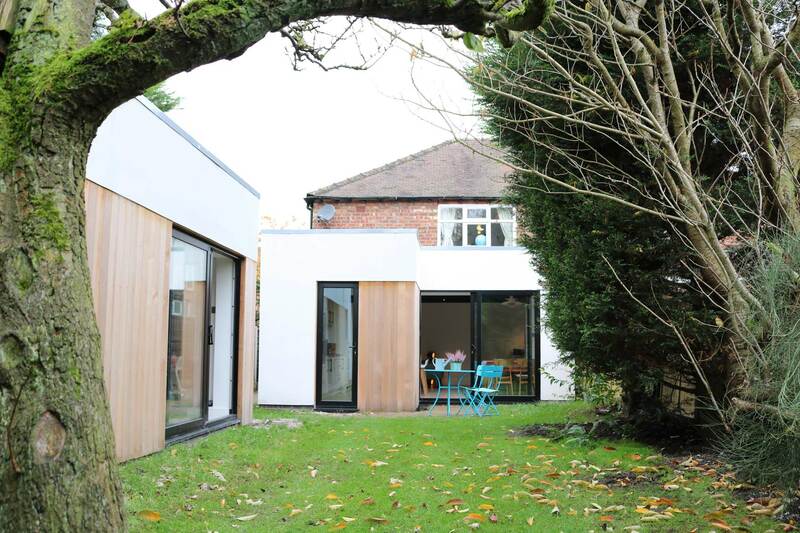 Artform Architects designed the extension and office to compliment one another and work holistically rather than as separate structures. The form, scale and aesthetic are the similar so the two elements have a connection between one another and with the garden. 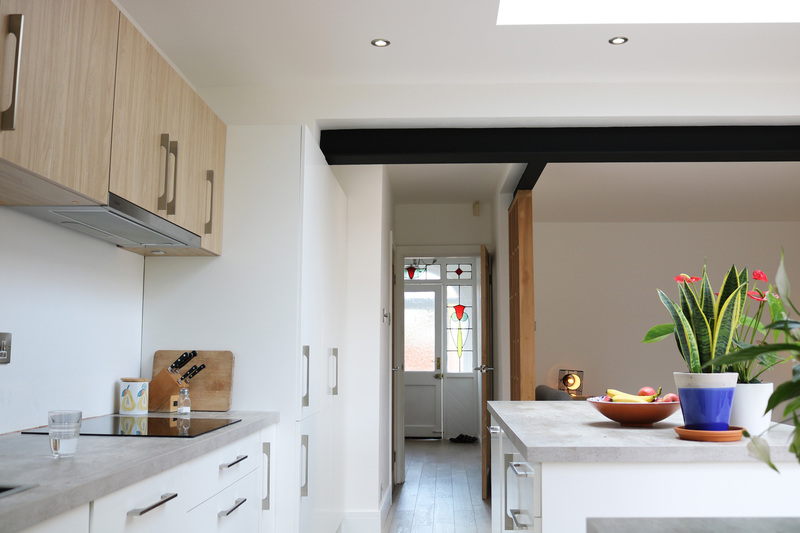 It is very much a contemporary house extension and purposefully is in contrast to the traditional brick house. 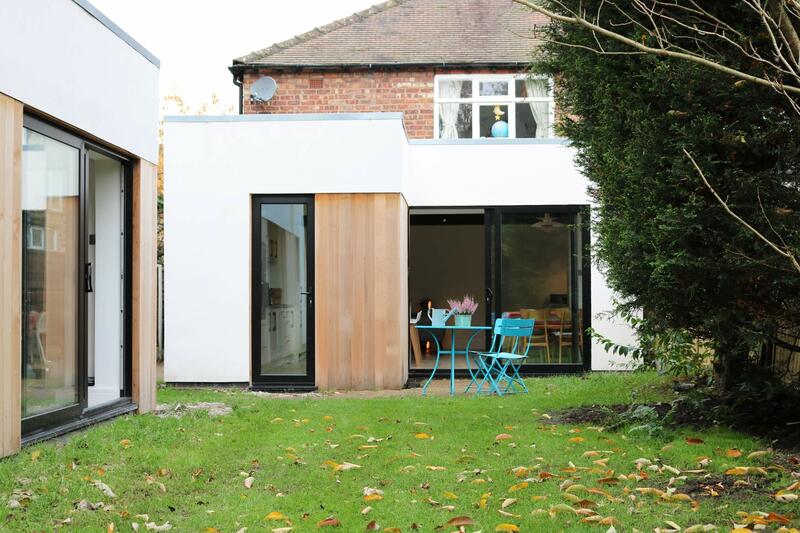 Using white render, vertical timber cladding and large sections of glazing, the modern look provides a crisp and clean response to the domestic setting but one which positively responds to the context and benefits the house as a whole. 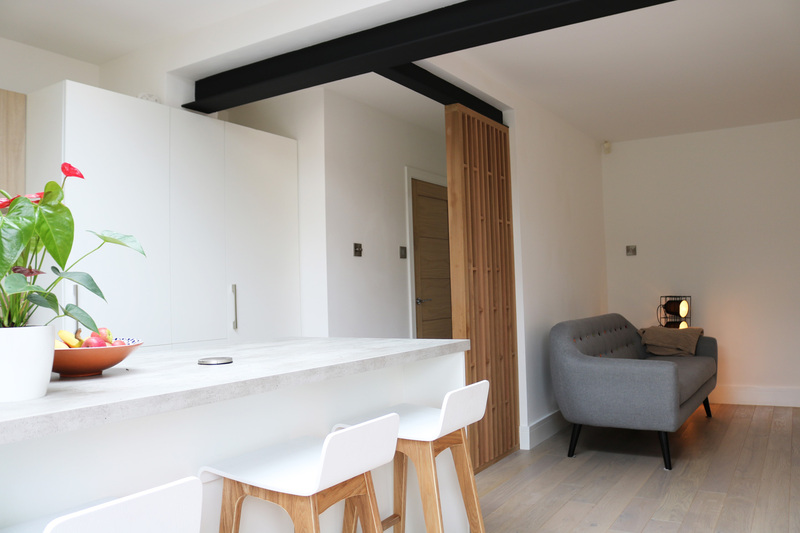 Internally the new layout has changed the way this Altrincham family use their home and has created a much needed family space at the rear which overlooks the garden and benefits from high levels of natural light. This means they spend more time together and can also use the space to host various events. 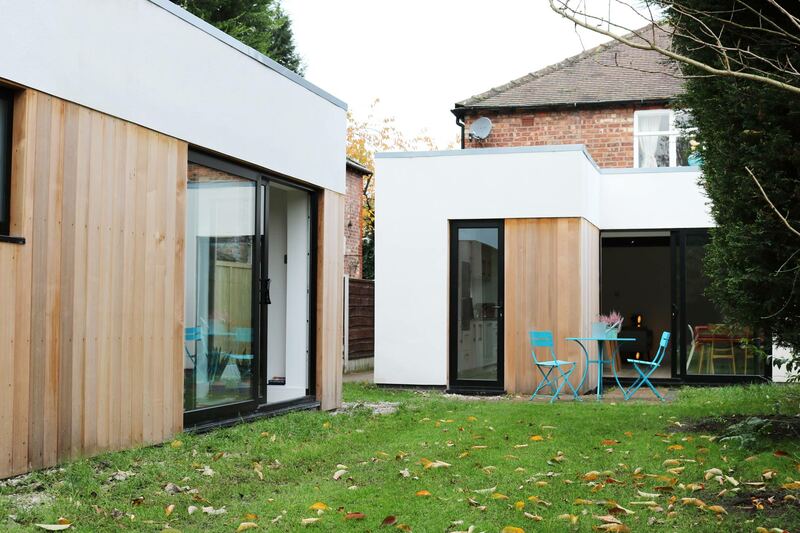 Externally the design provides a distinctive modern addition to a typical semi-detached house which benefits the garden and improves the connection between inside and out.